THE mid-range segment smartphone is a very competitive space these days with the likes of Asus, Xiaomi, Oppo and Honor all vying for top position. 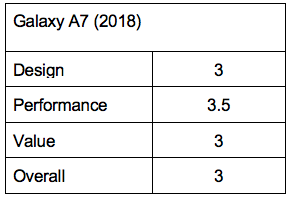 Imagine my surprise when I learnt that Samsung threw its proverbial hat in the ring in the form of the Galaxy A7 (2018). However, does the A7 truly have what it takes to rise above the rest? To stand out in the mid-range game, Samsung knows it needs a killer yet iconic design. It has opted for a glossy glass back that is striking to behold but is unfortunately quite slippery. On several occasions, the phone also slid off the table, so you definitely need to wrap it in a case if you want it to stay in one piece. The A7 comes in three distinct colours: black, gold and blue, which we received as our review model. The blue is definitely the most striking of the lot and it is quite a pleasing colour to behold honestly. You can’t talk about the A7 without talking about the massive 6-inch Super AMOLED screen. Simply put, the resolution looks great and the colours are just gorgeous. If there is any criticism, it is that the big bezels around the side spoil the look of the phone. Another point of contention is the plastic sides. Though it appears like polished metal, in actuality it does not have the high quality feel you would expect. This is the first time Samsung has integrated the fingerprint reader with the power button. It certainly is uncommon as the only other phone that did this was the Sony Xperia line. While the reader is quite speedy, it does feel odd to unlock it with my right thumb and left index finger. But the fingerprint reader isn’t the only way to unlock the A7 using biometrics. It has a face unlock feature that is not dissimilar to that found on higher-end Samsung phones. Granted, it is not as responsive or accurate as I would like it to be, but it is handy to have nevertheless. The glossy glass back and fingerprint reader on the side aren’t the only defining features of the A7. The back holds the famed triple camera array, another first for Samsung. However, the biggest disappointment in the A7 is the fact that it uses a dated micro USB port. Nested between a single speaker and 3.5mm headphone jack, the micro USB port really should be switched out to the more modern and quicker Type-C port. That aside, the other downside to the A7 is its lack of weatherproofing. Unlike higher-end cousins such as the Galaxy S9, the A7 is vulnerable to water so take care not to get it wet. Taking a peek under the hood, the A7 is powered by a Samsung Exynos 7 Octa 7885 chip. Now, this is a perfectly fitting mid-range chip for a phone in this range and is on par with Qualcomm’s Snapdragon 600 series. My A7 review unit came with 4GB of RAM and 64GB of storage. While that 64GB of RAM doesn’t sound like much, it is fortunate that there is a microSD card expansion slot that supports storage expansion. 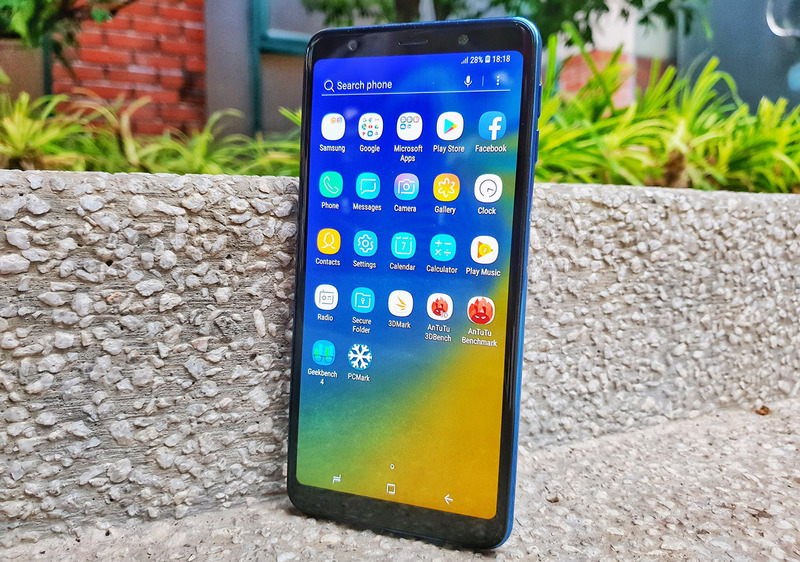 Putting the A7 through its paces in the benchmarks, the phone earned a very respectable range of scores that indicate that it is, at the very least, a capable phone for everyday use. In fact, you could say that it performs better than Qualcomm’s Snapdragon 636 chip. All those numbers aside, I had no issues using the A7 under real-world conditions with all apps running smoothly without any lag or slow down. From browsing on Chrome, checking deals on Lazada or Shopee to watching YouTube videos, the A7 worked fine. Now gaming is not the best on the A7 and you might need to crank down the graphics settings on demanding games to medium or low if you want to get the best experience. That said, the screen is excellent for consuming content and playing games, so that is one consolation. The A7’s single speaker on the bottom proved to be unremarkable in terms of audio performance. The lack of a second front-firing speaker means that it doesn’t sound as good and just sounds flat overall. Packing a 3,300mAh battery, I didn’t think the A7 would not perform exceptionally well. True enough, I could get about a full day’s worth of usage from it of roughly nine to 10 hours on a charge. However, as it sports an older micro USB port, I sorely missed the ability to quick charge with the phone. Coming to the most talked-about feature of the A7: the triple camera array. It consists of a 24-Megapixel main camera with a f/1.8 aperture together with a secondary 5-Megapixel camera that is essentially a depth camera to help the A7 capture ‘bokeh’ shots. 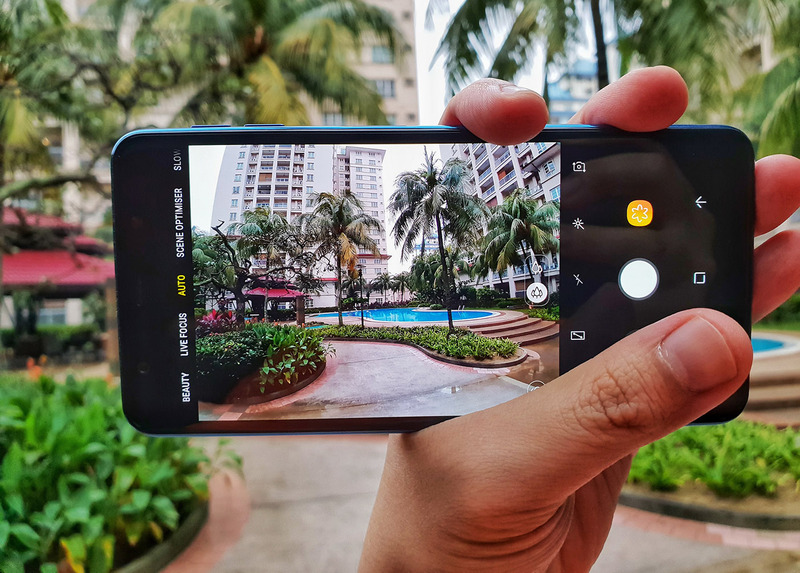 Last but not least is the 8-Megapixel wide-angle camera with a f/2.4 aperture that comes in handy for capturing panoramic scenery or when you need to capture more within a scene. As far as quality goes, the main camera takes decent photos in daylight but sharpness and detail suffer greatly in less optimal lighting conditions. Apart from the usual Auto mode, you can switch between other modes like Pro mode and Scene Optimiser, a carryover new feature from the Galaxy Note 9. Disappointingly the Pro mode lacks true manual controls and only offers basic settings like tweaking the ISO, exposure and white balance. I suppose this shouldn’t be too surprising given its budget stature but it would have been nice. Scene Optimiser is supposed to capitalise on the camera’s ability to recognise scenery and recommend the appropriate settings to best capture it. This doesn’t work in Wide Angle mode, however. In my experience using the wide-angle mode, I found that it works best when capturing scenes in bright sunny conditions. However, the smaller aperture, lower megapixel and lack of optical image stabilisation (OIS) resulted in many muddy shots indoors or in low light. In terms of video quality, I would say you shouldn’t expect much out of the A7. Not surprisingly given its mid-range status, I was limited to recording videos at Full HD resolution. The absence of OIS also plagued the A7’s video performance resulting in many a shaky video. 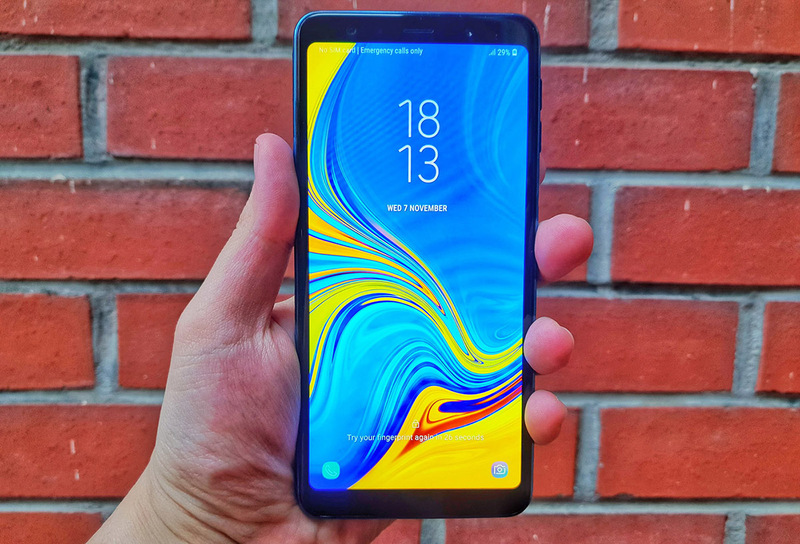 While I must commend Samsung for attempting to break into the crowded mid-range segment, the reality is that at US$310 (RM1,299) the A7 just isn’t very competitive. 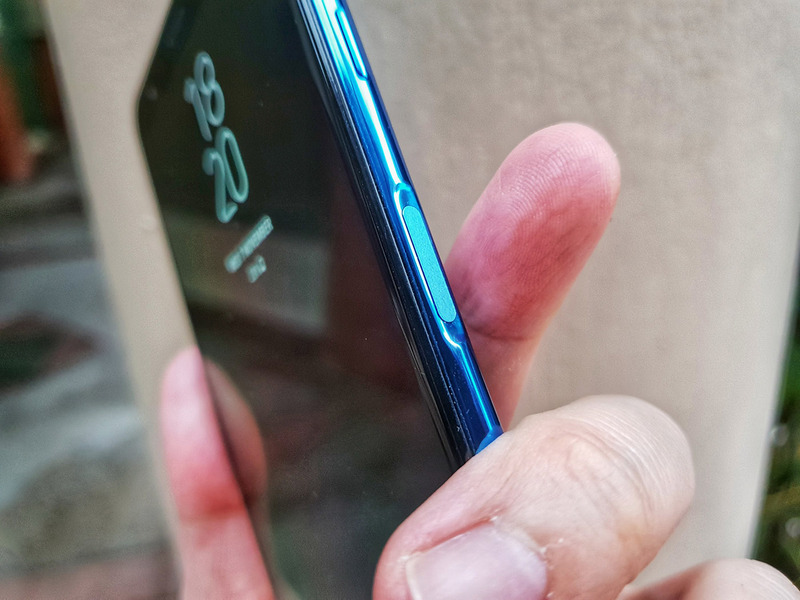 Possibly the strongest reason to choose the A7 is if you absolutely love Samsung’s sharp Super AMOLED display and value that over anything else. It looks terrific and you won’t regret it if you like to watch lots of videos or browse on your phone. But apart from that, the A7’s mid-range processor is outgunned at this price point. While it is not terrible for day-to-day use, I have to take into account that there are similarly priced brands out there that cram flagship-class processors on their mid-range offerings. Not helping is the fact that the much-touted triple camera array sounds better on paper than it does in actual use. The choice of a wide-angle camera opens up different possibilities but the lack of OIS really hampers its photo and video performance. So, if you are in the market for a phone with a terrific screen and decent performance the A7 is for you. But otherwise, you might want to check out the many other offerings on the market.